The final countdown to Christmas has begun! Just two more days until Santa comes down the chimney; I am sure you are all on his ‘nice’ list and will be receiving plenty of bottles of festive cheer! We have been busy sending out lots of Christmas gift vouchers, and if you’re lucky, at the bottom of your tree will be a Grape Escapes wine tour from your loved ones! And for those of you in a last minute shopping rush, we are still able to send out email gift vouchers until 10:30am tomorrow. We will be cracking open the bubbly, and raising a toast to you all this Christmas – let us be amongst the first to wish you a VERY merry (hic!) Christmas, and a superb New Year. The team at Grape Escapes love to enjoy plenty of wine over the festivities, and we can’t be let loose on your bookings, so the offices will be closed from 13:00 on Thursday 24th December, and re-open on Monday 4th January 2016. If you are travelling with us over Christmas, we will of course still be available via the Duty Manager number. number of complimentary tickets for our customers, so if you would like to come and meet us please feel free to register on their web site (http://travelshow.telegraph.co.uk/guest-tickets ) using the code GRAPE16. Bargain Bubbles in the New Year! After a busy December, we are certain that you will be desperate to unwind in the New Year, and what better way to do so, than with a short break to Champagne, enjoying some bubbles without a care in the world! Our Bargain Bubbles tour offers amazing quality at rock bottom prices; for just £195 per person (based on two people sharing a double or twin tradition room) you can enjoy a four day/ three night break based at the 4* Hotel de la Paix in Reims this January or February. 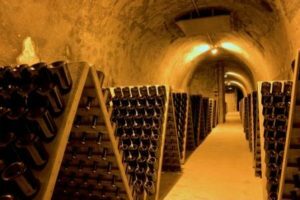 On day two you will enjoy a full tour of the cellars and estate of the prestigious Champagne GH Mumm, followed by a comparative tasting of their Blanc de Noirs and Blanc de Blancs Champagnes. In the evening, you will be welcomed to dine in one of our favourite restaurants in the centre of Reims; this cosy restaurant is located just 10 minutes’ walk from the main square, and here you will be served a delicious three course Champagne tasting dinner. 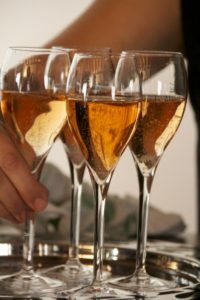 Each course will be accompanied by a different glass of Champagne. If you would like us to arrange your Eurotunnel crossings, we would be happy to include these from £24 per person (based on four people travelling together). Please contact us to confirm the supplement, which is dependent on your specific travel date. Please call us on +44(0) 1920 46 86 66 or e-mail info@grapeescapes.net for more information about this incredible offer. It’s a Snip: 4* Bordeaux Break at just £229 per person! If you’re looking for a trip slightly later in the spring, we are delighted to also offer an amazing value break in Bordeaux. Valid on travel for two people (sharing a double/twin Standard room) anytime in March or April, you will stay in the 4* Mercure Bordeaux Centre, located close to the historic centre of the city, with the main tourist attractions, shops, restaurants, bars and entertainment venues just a few minutes’ walk away. On day two, discover Saint-Emilion, a UNESCO classified world heritage site which draws visitors to the picturesque village with its cobbled streets and pretty churches. You will firstly experience a full tour of a Grand Cru Classified Château of Saint-Emilion, followed by tastings of the estate’s wines. 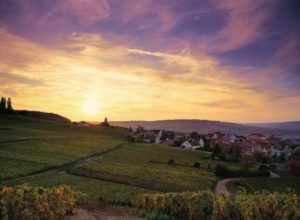 You will then discover the village itself, on a guided tour on foot, followed by a wine tasting session in one of the village’s wine cellars. In the evening, a delicious three course gourmet dinner will be served in a premium city centre restaurant, accompanied by three local wines. To find out more about this phenomenal deal, please give us a call on +44(0) 1920 46 86 66 or e-mail info@grapeescapes.net for more information. 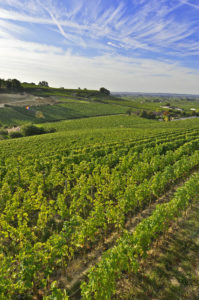 You can also find details of a wide range of Bordeaux tours here.